In June 2015, the Awakening of Conscience Love and Peace Concert was held at Stanford’s Dinkelspiel Rehearsal Hall Braun Music Center. FOWPAL invited people from all walks of life to participate in the event. Through the exchange of music and culture, the message of love and peace was spread. 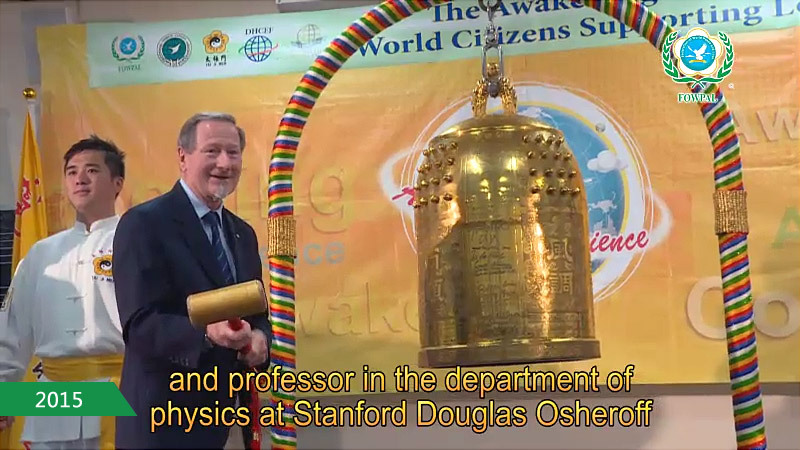 On the same day, the 1996 winner of the Nobel Prize for Physics and professor in the department of physics at Stanford, Douglas Osheroff, rang the Bell of World Peace and Love and made his wishes for peace.